•All the PG students are hereby informed that their Internal Examination will be organized from 15/04/2019 to 22/04/2019 . National Cadet Corps aims at developing character and comradeship, as well as keenness for service and capacity for leadership in the youth. It provides military training to the youth and builds a ready reserve, which the Armed Forces could easily make use of in times of national emergency. There are a number of incentives that motivates students to become cadets. Besides being an additional merit while seeking to join the forces or taking up other jobs, NCC also motivates cadets to perform to their best by offering scholarships, cash awards, prizes, medals, trophies etc. 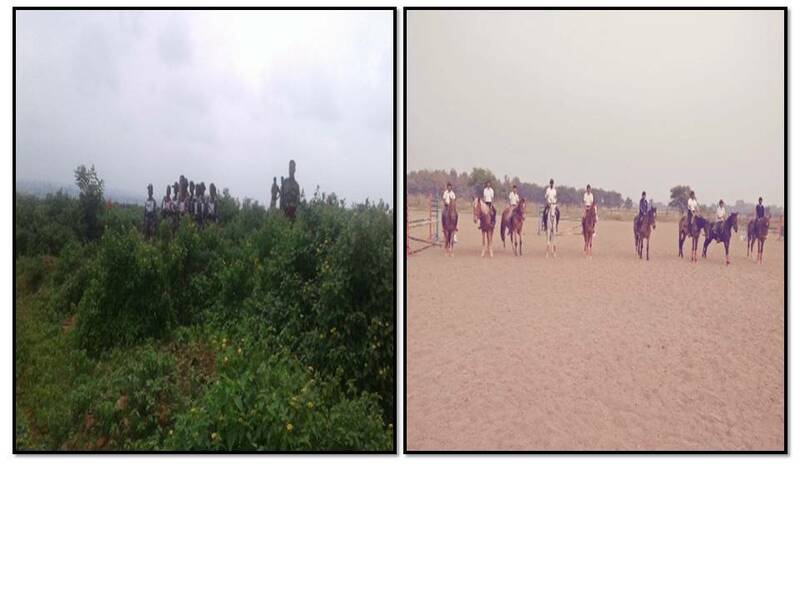 Apart from service and institutional training, the cadets also participate in other activities like Community Development, Youth Exchange Programme, Adventure Sports Training. Taking part in NCC Day, Republic day Camp etc. not only gives the students an opportunity to visit different cities/states of India but also interact with cadets from different parts of the country. 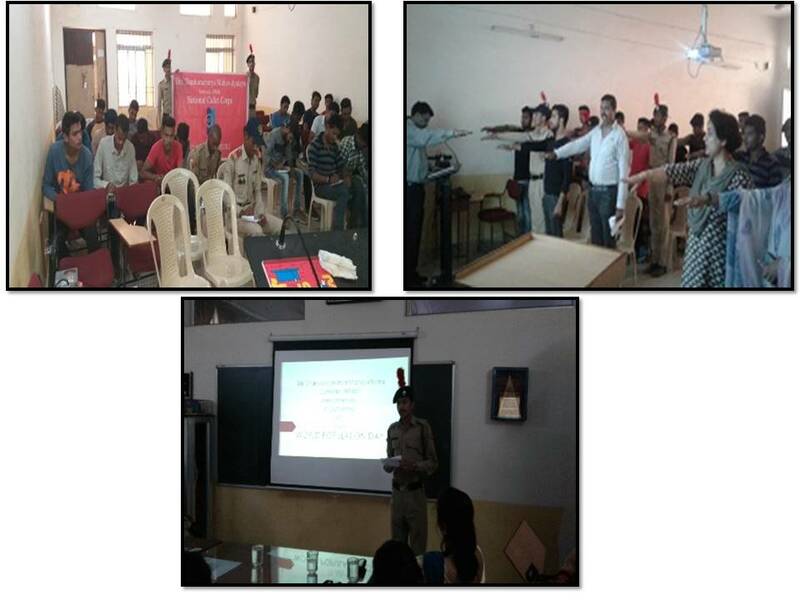 NCC activities of the college are guided by Associate NCC Officer, Lt. Dr. Krishna Jibon Mondal (SD) and care Taker Ujjwala Bhosle (SW). › Army: 64 every year for IMA Dehradun through UPSC and SSB interview.100 in Officer Training Academy(OTA) Chennai for Short Service Commission Non- Technical (no UPSC Exam)only SSB every year. › Navy: 6 per course, No UPSC Exam, only SSB interview.Two years age relaxation for NCC ‘C’ Certificate holders. › IAF: 10% in all courses including flying training courses.No UPSC Exam, only SSB. » For Ors, Sailors, Airmen: 5 to 10 % bonus marks awarded for recruitment. » Para Military Forces: 2 to 10 bonus marks awarded for recruitment. » Department of Telecommunication: Bonus marks awarded for recruitment. » CRPF:NCC cadets holding IIIrd division degree eligible for recruitment to gazetted posts. » NCC: Cadets having “C” certificate are eligible for examination to Civilian Gliding Instructors/Girl Cadet Instructors/Whole Time Lady Officers. » State Govts: Peference for State Services in certain States. 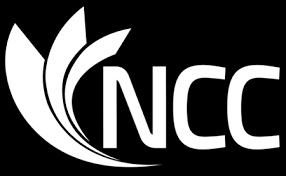 » Industry: Some industries give preference to NCC C certificate holders for various jobs related with the field of security. National Cadet Corps aims at developing character and comradeship, as well as keenness for service and capacity for leadership in the youth. It provides military training to the youth and builds a ready reserve, which the Armed Forces could easily make use of in times of national emergency. There are a number of incentives that motivates students to become cadets. Besides being an additional merit while seeking to join the forces or taking up other jobs, NCC also motivates cadets to perform to their best by offering scholarships, cash awards, prizes, medals, trophies etc. Apart from service and institutional training, the cadets also participate in other activities like Community Development, Youth Exchange Programme, Adventure Sports Training. Taking part in NCC Day, Republic day Camp etc. not only gives the students an opportunity to visit different cities/states of India but also interact with cadets from different parts of the country. NCC activities of the college are guided by Associate NCC Officer, Lt. Dr. Krishna Jibon Mondal (SD). These can be broadly divided into four distinct categories namely Institutional Training, Community Development, Youth Exchange Programme and Adventure Activities. Drill, Shooting, Physical Fitness, Map Reading, First Aid, Gliding/Powered Flying, Camp Training which forms the most vital part of the NCC Training. In camps, young cadets get the thrill and joy of outdoor and community living. Besides, All India Camps such as National Integration, Leadership, Army Attachment, Republic Day and Independence Day Camps in which cadets from all parts of the country work together and contribute greatly towards promoting national integration. These camps widen the horizon of the young cadets and provide them an opportunity to forge bonds of national brotherhood. These camps help abridge cultural gaps, break regional and language barriers and bring the youth from different parts of the country closer to each other. These activities aim at making our young people conscious of and sensitive to the needs and problems of their fellow countrymen and enabling them to contribute meaningfully to enriching community life. The NCC has been in the forefront in rendering assistance to the needy. Some of the major areas of activities include blood donation, adult literacy. 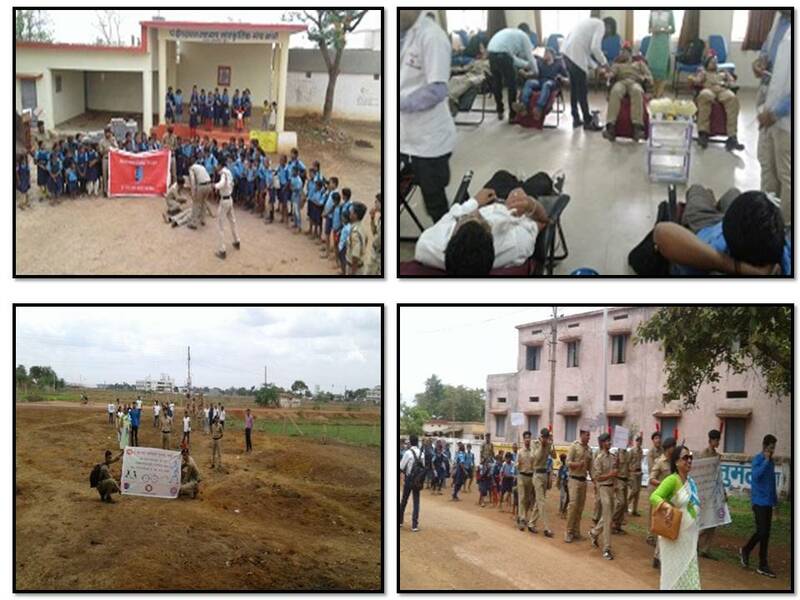 Anti- dowry, anti-leprosy, anti-drug, tree plantation, eye donation and construction of roads. NCC has also laid great stress on ecology and conversation of plant life. With a view to increasing international understanding awareness, NCC has Exchange Programmes with youth organizations/NCC of nine countries namely Bangladesh, Bhutan, Maldives, Nepal, Singapore. Srilanka, United Kingdom, Veitnam and Russia. 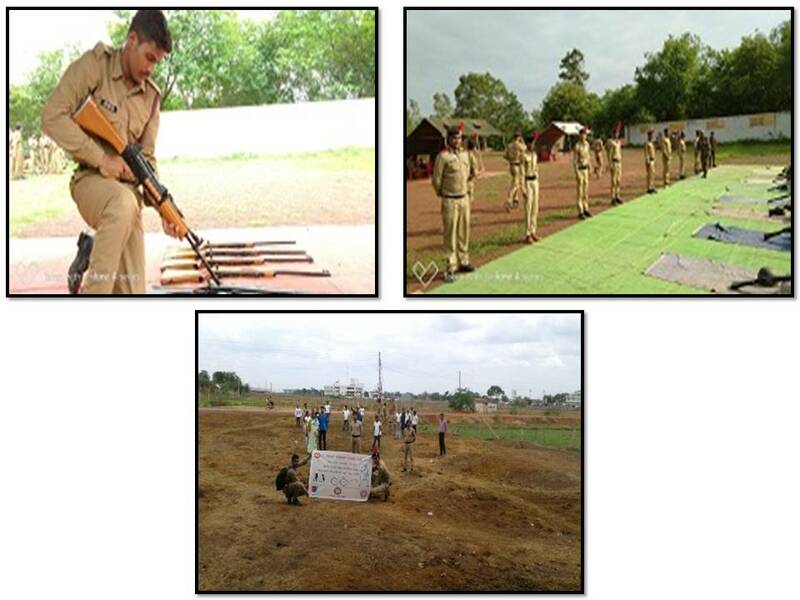 This exchange programme includes mutual visits upto 24 cadets for a period of two weeks. Cadets carry out community development work, study history, culture and socio-economic conditions of YEP countries. Adventure activities are organized to develop special qualities of courage, leadership, spirit of adventure, sportsmanship, spirit of comradeship, team work and self confidence among the cadets. Some of the activities are Treking, Rockclimbing, Mountaineering, Para Jumping, Scuba Diving, Water Skiing, Sailing, Kayaking, Yahting. Para Sailing, Glider and Microlight Flying, Slithering and Cycle/Motorcycle expeditions.